TesseracT as a project has been around since 2003 and was started by the guitarist Acle Kahney (ex-Fellsilent), although they didn’t become a complete band until 2007, when drummer Jay Postones, bassist Amos Williams and guitarist James Monteith were added. Last year Ashe O’Hara joined as their new vocalist. Since the start they’ve released two EP’s, an incredible debut album as well as recorded an acoustic live video-set and a live-in-studio performance for the whole EP ‘Concealing Fate’. After some highly praised live performances while touring with acts like Devin Townsend and Fear Factory, the band also ended up winning the prize for ‘New Blood’ at Progressive Music Awards last year. Well deserved! Their second album ‘Altered State’ is 51 minutes long and divided into four sections/songs; Of Matter, Of Mind, Of Reality, Of Energy. They represent the changes everything and everyone go through in life and at the same time it’s also a reflective story about the band’s own struggles and transformations. The lyrics are well written and carry an agonizing but very sincere, hopeful tone. Many times you won’t notice when one song ends and the next starts; most of them flow seamlessly and beautifully into each other and is a clear sign that this record should be listened to as one piece. The first song ‘Of Matter: Proxy’ gives you a feeling of the same intricate, powerful sound found on their debut. I was worried they might have changed too much, but when hearing it the first time it made me breathe a sigh of relief because it did have that typical TesseracT- sound that I’ve been longing to hear more of. The first track is such a nice introduction to the album and also one of my favourite songs. The new front man Ashe O’Hara’s (also in the prog rock band Voices From The Fuselage) ability to write impressive vocal harmonies that flows along as well as complements the music is unquestionable. He sings with clarity and warmth, allowing for unique moments that are both crushingly powerful and mournfully fragile. 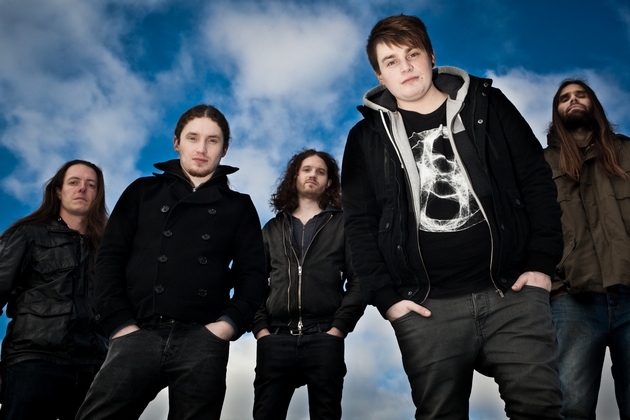 From the live videos I have seen Ashe delivers with an impressive range and performs the band’s older material with ease, also when it comes to the parts with harsh vocals. I like the way he uses his voice in so many different ways throughout the songs and how it’s such a nice contrast to the heavy music. The best examples you find in ‘Of Mind: Nocturne’ and ‘Of Matter: Retrospect’, they have some of the best singing I’ve heard. Sometimes I can feel that the vocals take over a bit too much, which makes it hard to hear all the details, but that’s what the instrumental album is for. I adore the instrumental version because there’s just so much to listen to in the music. That said, I really love and appreciate both versions. 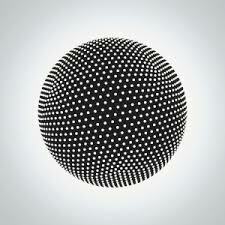 Every instrument and detail plays a big role in TesseracT’s extremely groovy and technical sound. Every note is carefully placed. That is one of the reasons why I find their music so fascinating. The nicely balanced, pristine production certainly helps with this and creates an almost unreal, very atmospheric listening experience. The album is produced, mixed and mastered by the band’s guitarist and songwriter Acle Kahney in his ownstudio with the help of bassist Amos Williams. Another favourite part of mine is Amos’ loud, intense, fantastic bass. It’s very important for the overall feeling and drive in the music and complements the sound of the guitars so well. The bass works together with the drums to create that irresistible groove and when listening I just can’t wait to hear Amos show off his skills during the more quiet parts. The bass in ‘Of Mind: Exiled’ and ‘Of Reality: Eclipse’ is enchanting. Chills! The many moments where each instrument seems to follow a different beat pattern than the others and yet the music flows effortlessly, are simply amazing. Just like on their first album there is a nice balance between heavy and ambient passages, the melodies are arranged to fit the complex rhythms and Acle, the main songwriter, proves that you don’t need drum or guitar solos for it to be interesting and powerful. The drummer Jay is working hard and I can’t help but being impressed with how smoothly he plays all those complex beats and pulsating rhythms. The many changes and transitions in the songs must be very technically demanding. Listen for the excellent drums in the songs ‘Of Reality: Eclipse’ and ‘Of Mind: Nocturne’, for example. Sometimes I can sit and listen to the drums only, the whole album through; they are never the same for long and really keep things interesting. Much of both the heaviness and the atmosphere lie with the guitars and it’s the same as with the other instruments; they are used in so many different ways. James and Acle are phenomenal guitar players and they do everything from rhythmic, delicious chugging in the background, acoustic layers, massive riffs, clean, intense melodies and really groovy turns. Put on ‘Of Mind: Exiled’ or ‘Of Reality: Palingenesis’ for some beautiful guitar interplay between the two. They also back up the saxophone nicely in ‘Of Reality: Calabi-Yau’ and when you get to the last song ‘Of Energy: Embers’, James and Acle wraps it up with some heavy, releasing riffs before the saxophone returns and soothingly ends the album in the most relaxing way. With so much variety and many great songs, it’s hard to choose the best ones…‘Of Mind: Nocturne’ is a track that shows every band member’s skills in a very good way, that song is so catchy and groovy it just makes me really happy. I didn’t like it much at first listen but after a while it turned into one of my absolute favourites. I love ‘Of Matter: Retrospect’, it’s the most passionate song filled with melancholic and stunning passages. And the bass and the drums in ‘Of Energy: Singularity’ really moves me and the first half of that song is the most powerful music I’ve heard since Tool’s ’10 000 days’. This release is a bit different compared to their first full length, but it’s just as good and sometimes even better. Some people say the songs are difficult to tell apart, not easily memorable and sometimes even repetitive. That is exactly what I want; a challenging listening, hypnotizing songs with many layers that aren’t directly distinguishable and takes time to get to know. For me, that creates a more rewarding experience that will last a long, long time. Full album stream can be found here. The instrumental version can be found on YouTube. ‘Altered State’ was released on May 28th 2013 by Century Media. Posted on June 4, 2013, in Album Reviews and tagged Album Reviews, altered state, anathema, Djent, Fellsilent, karnivool, Metal Reviews, Pain of Salvation, Periphery, Progressive Metal, Progressive Rock, Tesseract, Tool, Voices from the fuselage. Bookmark the permalink. 5 Comments. Mik absolutely loved this review, it is the best I’ve read up until now, very dynamic and interesting, I can really feel your excitement and passion while reading this. I really loved the whole album and agree with you with practicaly everything, can’t wait for more from these guys. Thank you for reading, Casey. It was a pleasure to write. It’s always nice to share the excitement over an album, I’m glad you agree with what I had to say!